Ajax had a close relationship with the Ludwig and Leedy companies in America. 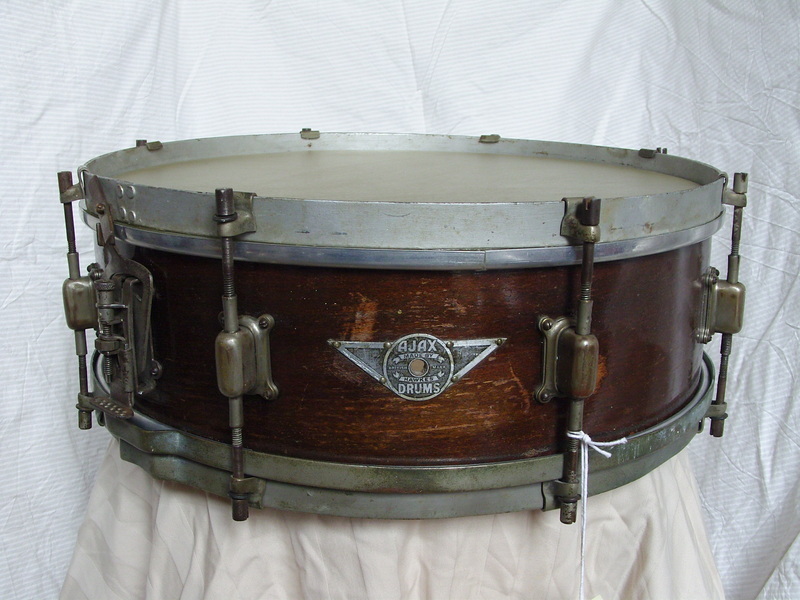 This drum has the generic Leedy style lugs found on many American and European drums of the mid 1930's. These lugs have three layers, a base plate, an insert and a cover plate. The bottom hoop I believe is original, but the top one is an early replacement.